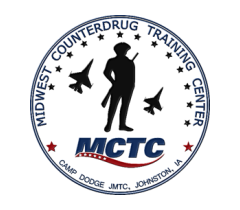 The Tactical Narcotics Debriefing Course is a unique training program that teaches the art and science of Tactical Debriefings for narcotics related situations. A Tactical Debriefing is defined as an interview with someone for the purpose of acquiring intelligence information. Tactical Debriefing is a tactically designed and deployed strategic interview conducted by a law enforcement officer(s) with a new arrestee, prison (or jail) inmate, or an offender on probation or parole, for the purpose of obtaining actionable intelligence information and human sources of intelligence (HUMINT). The intricacies that make Tactical Debriefing distinctly different from conventional interviews and interrogations is the designed synergistic application of several disciplines. These disciplines, applied in a coordinated fashion (synergy), can be identified, in part, as conventional interview techniques, rapport building, detecting deception, kinesiology, and tactical phraseology. Tactical Narcotics Debriefing course is the combined application of classroom instruction, skill-building exercises, careful evaluation, and practical immersion interviews using human subjects (role players) and a balanced realistic difficulty level. This training program provides all the knowledge, skills, and experience necessary to go forth and immediately place the techniques into play in the real world. Tactical Narcotics Debriefing is a 2 day (16 hour) course.